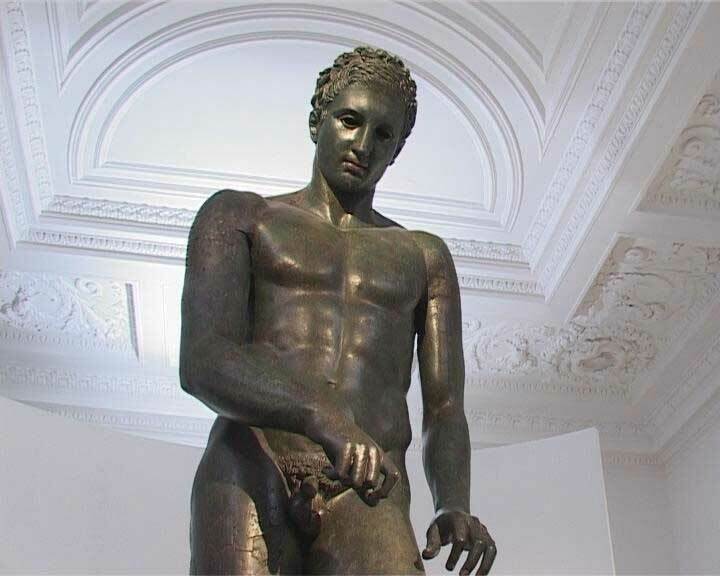 Losinj made world headlines in 1999 as the site of a sensational find in the sea just off the coast—Apoxyomenos, a life-size bronze stautue of an athlete (Apoxyiomenos) dating from the 4th century B.C., made by the Greek sculptor Lysippusis. After a heroic tour of Croatia it now is in a Zagreb Museum—but a very good replica is in the Tower in Veli Losinj. On the map, Losinj looks like a long finger extending from Cres Island and together they form the Cres-Lošinj archipelago. Mali Losinj, the largest settlement, is dominated by the 16thC bell-tower of the church of the Annunciation of the Blessed Virgin Mary (Annuniziata). Tucked off in an alleyway, with a stunning collection of oils and water colors by Italian, French and Dutch Old Masters from the 17th and 18th century, is Fritzy Palace. Veli Lošinj has its treasures too–the magnificent Baroque church of St. Anthony the Abbot has great art works. The Tower, built to keep pirates at sea, dates from 1445. Losinj’s physical beauty is remarkably easy to access–town planners have laid out more than 200kn of pathways which wind their way through five different islands filling your senses not only with the islands famous fragrances, but the pristine charm of small villages that dot the route. For the more adventurous, Losinj has caves and reefs, excellent sailing and surfing and of course fishing. You can get to Losinj by ferry from Zadar or even drive here from Krk Island. –terrific Mali Losinj town site, clear and comprehensive!